Mindfulness Monthly is an online mindfulness and meditation training that brings together leading teachers and practitioners from around the world to create a global community for mindful living. Mindfulness is the ability to be fully present without getting overwhelmed or reactive. It helps us accept reality as it is and respond to whatever is happening from a place of calm and clarity. are attentive, you will see it. Beginners and experienced meditators alike can find a powerful resource in Mindfulness Monthly, one that helps you live fully in the present and discover greater well-being in every area of life. We hope you'll join us in creating a worldwide movement of mindfulness. we lose connection with one another—and ourselves. More and more people are turning to mindfulness every day. Why? Practicing mindfulness and meditation on your own is certainly valuable, yet when we come together, something shifts. Each individual practice merges with the energy and intention of the whole, magnifying effects for us all. Mindfulness Monthly welcomes you into a thriving global mindfulness community—one where you play an essential role in creating a more mindful world. Our private online community serves as a sacred space for connecting with others. Here, you can interact with our teachers, moderators, and other group members in a safe, supportive environment. You'll be able to discuss your experiences, ask questions, and give and receive feedback in the spirit of our collective growth. Posting relevant articles and generating new insightful conversations are welcomed. We've even had members self-organize independent activities in regions around the world! Perhaps most importantly, we'll host regular live online events with your featured teacher. These exclusive events are your opportunity to join with others around the world in mindful meditation, adding your intention and heart to our collective experience. Mindfulness comes more easily with daily practice. Different areas of the brain light up when we're being mindful rather than running on autopilot. The more we practice, the more significant and lasting these shifts become. Our teachers will share new insights and meditations each week you develop a consistent, nourishing practice—one that serves you throughout your life. Every month culminates in a live virtual gathering so you can ground the practices you've been learning. Ask the featured teacher questions and discuss your experiences in small breakout groups. Your private Facebook community provides a safe and active container for your continued exploration. Receive exclusive access to bonus sessions with our teachers and enjoy lively conversations with your fellow members. You'll also get a complete product from our Sounds True library on a new topic each month (these will be different from the monthly theme). Mindfulness is a lifelong path. There is no destination—just a continued journey to create more compassion, authenticity, skill, and joy in your life and your world. Kelly Boys is a certified iRest® Yoga Nidra teacher and former director of operations for the Integrative Restoration Institute. She most recently directed the creation and implementation of the Search Inside Yourself Leadership Institute's facilitator training program, bringing 100 of the top trainers from around the world through a yearlong mastery program in neuroscience-based emotional intelligence and mindfulness. Kelly has also taught meditation to US veterans with post-traumatic stress disorder and traumatic brain injuries, as well as to women in prisons, cancer survivors, and those with substance abuse addictions. She currently consults with the UN Foundation to create a mindfulness and well-being program for humanitarian workers both on and off the front lines. Kelly’s new book, The Blind Spot Effect: How to Stop Missing What’s Right in Front of You, was published with Sounds True in Spring of 2018. Lama Surya Das, who the Dalai Lama affectionately calls “the American Lama,” is the one of our foremost Western Buddhist meditation teachers and scholars. He has spent over 45 years studying with many of the great masters of Asia, among them some of the Dalai Lama’s own teachers. He established the Dzogchen Center and Dzogchen Retreats and worked with the Dalai Lama to found the Western Buddhist Teachers Network. 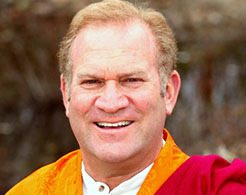 Lama Surya Das is the author of several books, including the international bestselling Awakening trilogy (Awakening the Buddha Within, Awakening to the Sacred, and Awakening the Buddhist Heart), as well as his latest book, Make Me One With Everything: Buddhist Meditations to Awaken from the Illusion of Separation. He is a regular contributor at HuffPost and Elephant Journal, as well as writing his own blog Ask The Lama. 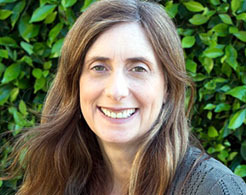 Diana Winston is the director of mindfulness education at UCLA’s Mindful Awareness Research Center (MARC) and is the founder of UCLA’s Certificate in Mindfulness Facilitation. She has been practicing mindfulness meditation since 1989, including a year as a Buddhist nun in Burma, and has been teaching mindfulness nationally and internationally for two decades. Called by the LA Times “one of the nation’s best-known teachers of mindfulness,” Diana Winston and her work have been mentioned in the New York Times; O, The Oprah Magazine; Newsweek; the Los Angeles Times; and in a variety of magazines, books, and journals. She is the author of Wide Awake: A Buddhist Guide for Teens, and the coauthor, with Susan Smalley, PhD, of Fully Present: the Science, Art and Practice of Mindfulness. 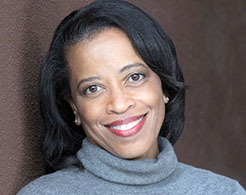 Rhonda V. Magee, MA, JD, is a professor of law at the University of San Francisco. She teaches mindfulness-based interventions, and is a student of awareness and compassion practices from a range of traditions. She is a facilitator of mindful and compassionate communication. A fellow of the Mind and Life Institute, she serves as an advisor to institutions ranging from the University of Massachusetts Center for Mindfulness to the Search Inside Yourself Leadership Institute. Thupten Jinpa, PhD, trained as a monk at the Shartse College of Ganden Monastic University, South India, and holds BA in philosophy and a PhD in religious studies, both from Cambridge University. He has been the principal English translator to H.H. the Dalai Lama since 1985 and has translated and edited many of his books, including the New York Times bestsellers Ethics for the New Millennium and The Art of Happiness. 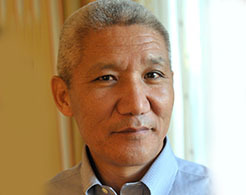 His own publications include translations of major Tibetan works featured in The Library of Tibetan Classics series and his latest book, A Fearless Heart: How the Courage to Be Compassionate Can Transform Our Lives. 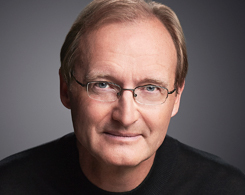 He is the main author of CCT (Compassion Cultivation Training), an eight-week formal program developed at Stanford University. Jinpa is the president of the Compassion Institute and has been a core member of the Mind & Life Institute from its inception. Jinpa lives in Montreal and is married with two daughters. 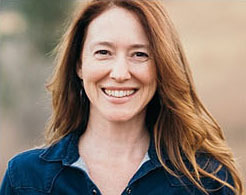 Mirabai Bush holds a unique background of organizational management, teaching, and spiritual practice. She was cofounder of the Center for Contemplative Mind in Society and served as the executive director until 2008, codeveloped the curriculum for Search Inside Yourself at Google, and taught writing and English literature at SUNY Buffalo, where she directed an innovative program for diversifying the university. Mirabai is or has been a board member of Shambhala Sun, Omega Institute, Seva Foundation, Military Fitness Institute, the Dalai Lama Fellows, and Love Serve Remember. With Ram Dass, Mirabai coauthored Compassion in Action: Setting Out on the Path of Service, as well as Contemplative Practices in Higher Education: Powerful Methods to Transform Teaching and Learning with Daniel Barbezat. 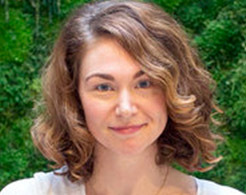 She is the editor of Contemplation Nation: How Ancient Practices Are Changing the Way We Live. Andrew Holecek is an author and spiritual teacher who offers seminars internationally on meditation, dream yoga, and the art of dying. A long-time student of Buddhism, he has completed the traditional three-year Buddhist meditation retreat and frequently presents this tradition from a contemporary perspective. He is the author of several books, including Meditation in the iGeneration: How to Meditate in a World of Speed and Stress and The Power and the Pain: Transforming Spiritual Hardship into Joy, as well as the audio learning course Dream Yoga: The Tibetan Path of Awakening Through Lucid Dreaming. His work has appeared in Parabola, Lion’s Roar, Tricycle, Utne Reader, Buddhadharma magazine, light of consciousness, and many other periodicals. For more, visit andrewholecek.com. Kelly Boys is a certified iRest® Yoga Nidra teacher and former director of operations for the Integrative Restoration Institute. She most recently directed the creation and implementation of the Search Inside Yourself Leadership Institute's facilitator training program, bringing 100 of the top trainers from around the world through a yearlong mastery program in neuroscience-based emotional intelligence and mindfulness. Kelly has also taught meditation to US veterans with post-traumatic stress disorder and traumatic brain injuries, as well as to women in prisons, cancer survivors, and those with substance abuse addictions. She currently consults with the UN Foundation to create an “Inner Peacekeeping” mindfulness and well-being program for humanitarian workers both on and off the front lines. 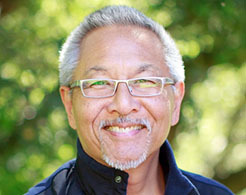 Larry Yang teaches mindfulness and lovingkindness retreats and has a special interest in creating access to the Dharma for diverse multicultural communities. He has practiced meditation for almost 30 years, with extensive time in Burma and Thailand and a six-month period of ordination as a Buddhist monastic. Larry is on the Teachers Council of Spirit Rock Meditation Center and is a founding teacher at both East Bay Meditation Center (Oakland) and Insight Community of the Desert (Palm Springs). His current focus is training spiritual leadership within communities of color and LGBTQI communities. Larry was honored for his work in racial justice by being selected as the community’s choice for Grand Marshal in the 2016 San Francisco LGBT Pride Parade. 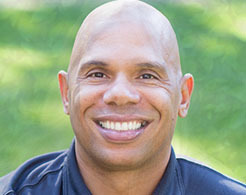 His new book is Awakening Together: The Spiritual Practice of Inclusivity and Community. Adreanna Limbach is a personal development coach and meditation instructor who helps women access their inherent clarity and confidence so that they can expand their freedom in business and life. Her work has been featured by the New York Times, Refinery29, Women's Health, and xoJane. As a coach, she’s mentored hundreds of people at the Institute for Integrative Nutrition and catalyzed cohorts of tomorrow’s leaders in social change as an executive coach and faculty at the Institute for Compassionate Leadership. 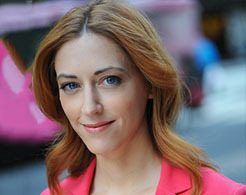 As a meditation instructor, she has taught secular Buddhist studies and meditation at The Interdependence Project in the heart and hustle of NYC, and served as a lead coordinator of the Meditation Working Group at Occupy Wall Street, bringing daily practice to the volunteers at Zuccotti Park in 2011. Most recently, you can find her on the cushion as head teacher at MNDFL, NYC's premier drop-in meditation studio. Rolf Gates, author of the acclaimed book on yogic philosophy, Meditations from the Mat: Daily Reflections on the Path of Yoga, conducts yoga workshops, retreats, teacher trainings, and coaching and mentorship programs throughout the US, abroad, and online. Rolf and his work have been featured in numerous media outlets, including Yoga Journal, ORIGIN, Natural Health, People, and Travel and Leisure’s 25 Top Yoga Studios in the World. Rolf is the cofounder of the Yoga, Meditation, and Recovery Conference at the Esalen Institute in Big Sur, California and the Kripalu Center for Yoga and Health in Stockbridge, Massachusetts. He is a teacher at Spirit Rock Insight Meditation Center in Northern California and is also on the Advisory Board for the Yoga Service Council and the Veterans Yoga Project. A former addictions counselor and US Army Airborne Ranger who has practiced meditation for over 25 years, Rolf brings his eclectic background to his practice and his teachings. Rolf and his wife, Mariam Gates, live in Santa Cruz, California with their two children. 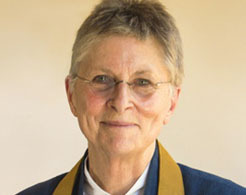 Roshi Joan Halifax, PhD, is a Buddhist teacher, Zen priest, anthropologist, and pioneer in the field of end-of-life care. 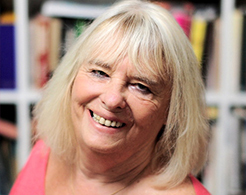 She received her PhD in medical anthropology in 1973 and has lectured on the subject of death and dying at many academic institutions and medical centers around the world. A founding teacher of the Zen Peacemaker Order and founder of Prajna Mountain Buddhist Order, she has focused her work for more than four decades on engaged Buddhism. She is founder, abbot, and head teacher of the Upaya Institute and Zen Center in Santa Fe, New Mexico; director of the Project on Being with Dying; founder of the Upaya Prison Project, which develops programs on meditation for prisoners; and founder of the Nomads Clinic in Nepal. Her books include The Human Encounter with Death (with Stanislav Grof), The Fruitful Darkness: A Journey Through Buddhist Practice and Tribal Wisdom, Being with Dying: Cultivating Compassion and Fearlessness in the Presence of Death, and her forthcoming Standing at the Edge: Finding Freedom Where Fear and Courage Meet to be released May 2018. With Mindfulness Monthly, our diverse selection of teachers will help you develop supportive skills for your whole life. 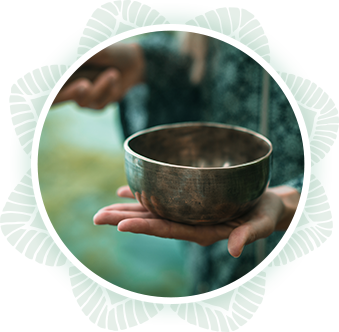 The Mindfulness Monthly community invites you to deepen, expand, and integrate your own practice into all areas of your being. This is big work. Though the idea of mindfulness can seem simple and subtle, the transformation you experience when you commit to this practice is enormous. You'll begin to notice shifts in your relationships, energy levels, health, work, and more. Some areas may open up with a sense of lightness and joy. Others may feel even more stagnant and challenging. This is all part of the process—and why the continued support from our community and your expert teachers is so vital. As you continue on this journey, you'll gain clarity on which approaches really resonate with you. When you continue to practice, move through the blocks, and celebrate the victories, you'll emerge transformed. So much of our pain and suffering arises through our familiar knee-jerk reactions and habits, which can deepen our ruts and often intensify our difficulties in life. The antidote—the key to liberation, compassion, and enlightened wisdom—lies in mindful awareness. This month, Lama Surya Das will teach us how to cultivate and experience a new way of seeing and being through Tibetan awareness training. Forgiveness is a powerful practice that takes courage and patience. It can be a tremendously transformational practice, but it must be done slowly and with care, never trying to force an outcome. This month, we will explore how forgiveness operates, why it is important, and how practices can be used to foster the growth of our capacity to forgive. 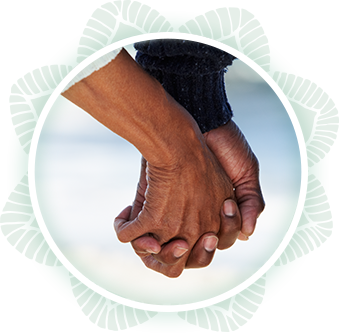 In a time of much disruption and suffering in our world, this session will support you in bringing mindfulness and compassion to your engagement with others. When we’re grounded in intentional commitments to our personal mindfulness practice and the related ethics that arise, we transform our awareness of and interaction with those around us. We become more aware of how we can be blind to the suffering of others, and we begin to develop awareness of ways that our lived experiences may be profoundly different and yet inherently interconnected. Most of us endeavor to live our lives in accord with our deeper aspirations and the values we cherish. Contemplative practice teaches us the essential skills to bring closer alignment between our aspirations and our everyday life. Connecting with our deeper aspirations in a conscious manner and setting our daily intention helps promote greater self-awareness and focused effort—two factors crucial for ensuring a life of purpose, compassionate connection with others, and joy. Because of its critical importance, in Tibetan tradition, a strong emphasis is placed on conscious intention setting both as a starting point as well as a sustaining factor for one’s contemplative practice. Exploring new ways we move from "choosing" to "being"
The great and wise teachings of Buddhism help us realize that this whole life is practice, including our service to others. Being completely and vividly present for the rich details of our lives and the lives of others and all beings is the means that we use to transform our anguish and stress, discover truth, and meet others in a wholehearted way. From the point of view of engaged Buddhism, integrity, stability, resilience, and compassion are essential in our work of service to others. To strengthen these qualities, we integrate values and practices that make it possible for us to meet the world with compassion. In addition, recent scientific research suggests that compassion is a source of hardiness and well-being. It is as well an important feature of our collective well-being. In this series, we will explore a new model of compassion, the Three Tenets of the Zen Peacemakers, and three core compassion practices. Our monthly teachers will provide you with additional audio meditations to download and practice each week. These might range from short practices to longer sessions. 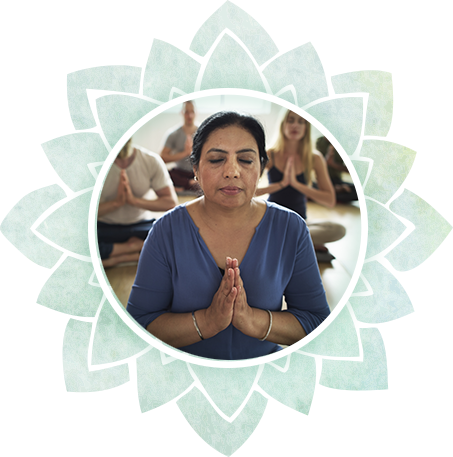 During the final week with each teacher, you'll be invited to a live, 75-minute virtual gathering where you can ask questions and receive additional guidance and feedback about your practice. These optional sessions occur after each live event Q&A so you can connect with other participants to share your experiences and continue your exploration. You'll be invited to join a private Facebook group where you can continue to meet with others in a virtual mindfulness community. This group will also give you exclusive access to extra insights, interactions, and live sessions with each month's teacher! Recordings of all teachings and practices are available for you to download and keep. You'll also be able to access and download the live Q&A the next day in case you miss the live broadcast. We're excited to offer you bonuses every month! 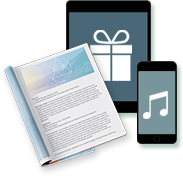 In-depth articles, complete audio programs, exclusive teachings, and more—each month will be a surprise! 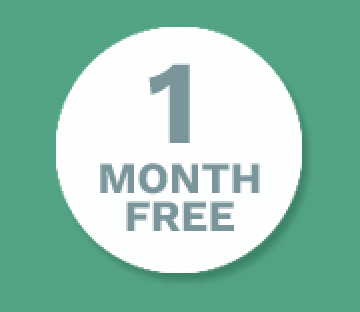 When you join Mindfulness Monthly, we'll give you your first month for free! That's right—you'll get an entire month's worth of mindfulness teachings and practices, access to our live monthly session, and a bonus to download and keep. We unconditionally guarantee your satisfaction with all Sounds True products for one year when purchased via our website. If you are not 100% satisfied with Mindfulness Monthly for any reason, simply return it with receipt for a full refund. Mindfulness is powerful; it has changed my life in more ways than I can express. I am a different person than I was a year ago—a better, calmer, less stressed, and happier person. Once again, my heartfelt thanks to the team—keep up the good work. I look forward to a long relationship with Sounds True. The Sounds True team has been wonderful at supporting the community, both in the monthly breakout groups and online discussions. They touch base and ask questions about our practice and drop into conversations online to connect and join in the discussion. With full gratitude to Tami, Kelly, all the presenters, and our sangha—and special kudos to the fellow participant whom I met monthly in mutual support. World peace starts with me, the individual, and this program is supporting my journey to inner peace and love, which naturally flows onwards. Namaste! I spent the year teaching mindfulness to 600 kids weekly at four elementary schools in Dallas, as well as 200 high school students at the end of the year. My intention is to walk with them as a Peace Educator for as long as I can. This Sounds True program is supporting my practice and ability to share in so many ways. Each teacher has such wisdom. I bow in deepest gratitude. When I first saw Kelly Boys, the coordinator of this program and our Sounds True colleague in the Facebook group, I really felt a connection with this beautiful human being. In the session with Kristin Neff, I learned that I need self-compassion to explore my disease peacefully. I am so lucky to have found this magnificent course during my first year of ALS. I really have to use self-compassion and mindfulness to enjoy my life every day. Week 1: Includes a teaching session between 20-40 minutes, plus one guided meditation between 5-20 minutes. Weeks 2 and 3: Consist of individual guided meditations between 5-20 minutes for each week. Week 4: Session is 75 minutes total, consisting of live Q&A and breakout groups with your Mindfulness Monthly community. Where is the schedule for the live sessions? You can see which teachers are speaking each month here. I just signed up. How can I access past sessions? You may contact us Monday–Friday, 8am–5pm MT.